#000601 - Signed by J.R.R. 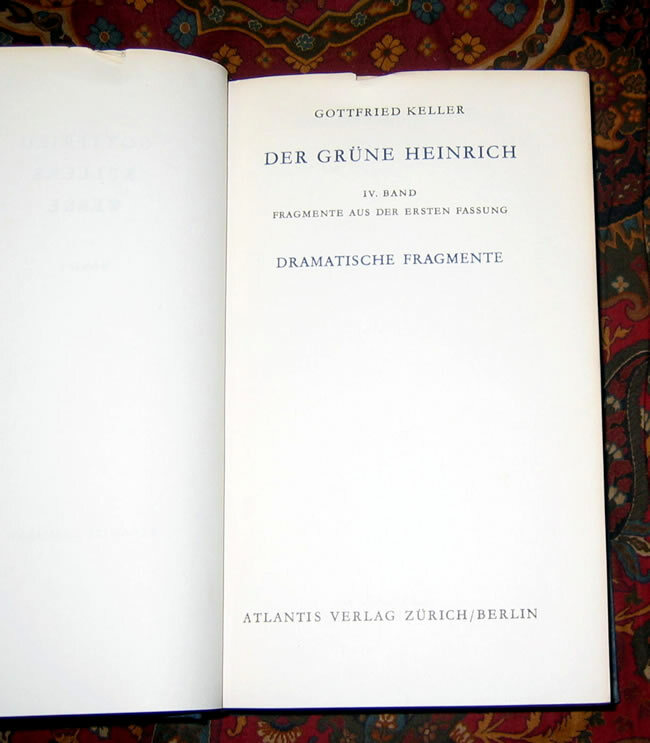 Tolkien, Gottfried Keller's, 'Werke, Band 3, Der Grune Heinrich, Fragmente Aus Der Ersten Fassung, Dramatische Fragmente' - $1000.00 The significant part of this book is the signature of J.R.R. Tolkien to the front endpaper. 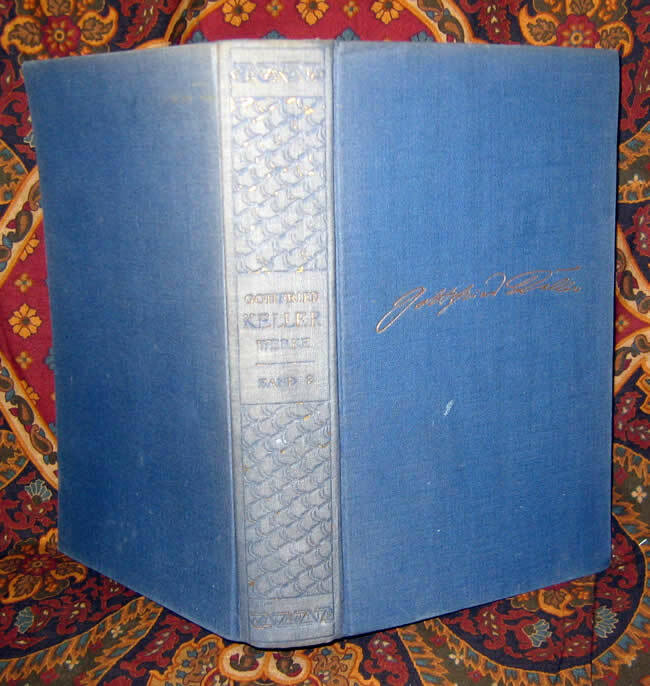 The significant part of this book is the signature of J.R.R. 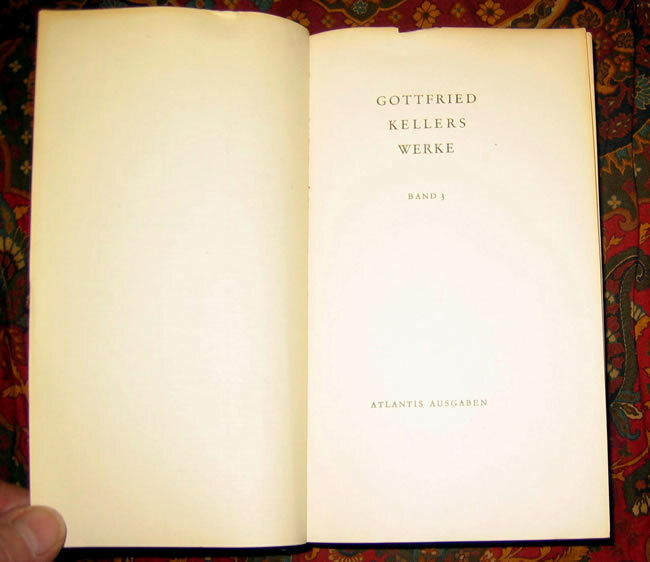 Tolkien to the front endpaper. 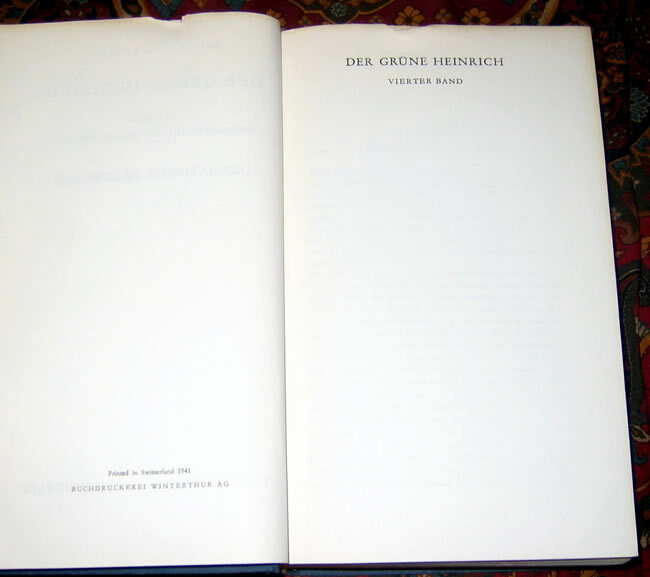 A copy of the 1st edition of Gottfried Keller's, 'Werke, Band 3, Der Grune Heinrich, Fragmente Aus Der Ersten Fassung, Dramatische Fragmente'. 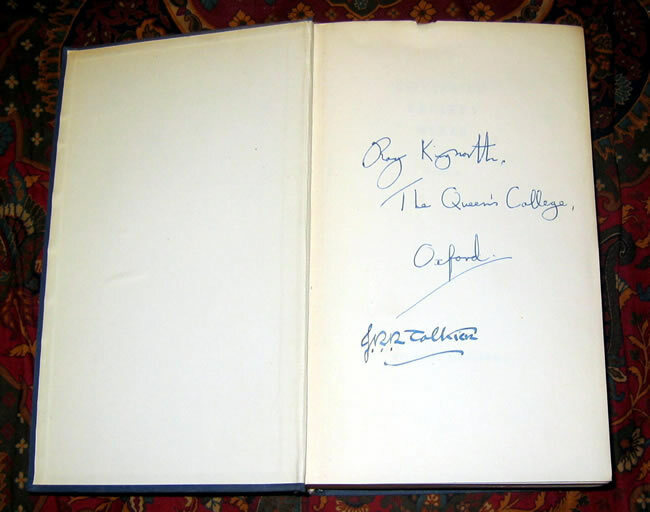 Front endpaper has previous owners name and 'The Queens College, Oxford", with the Tolkien signature below. Possibly from a former student of Tolkien's. Appears legitimate, but no other provenance known.